Happy Friday! My sister is expecting baby number 2 this fall, and we’re so excited to have another little nephew in the family! They’re in the process of moving their daughter into their current guest bedroom, so the new little guy can have her smaller room. 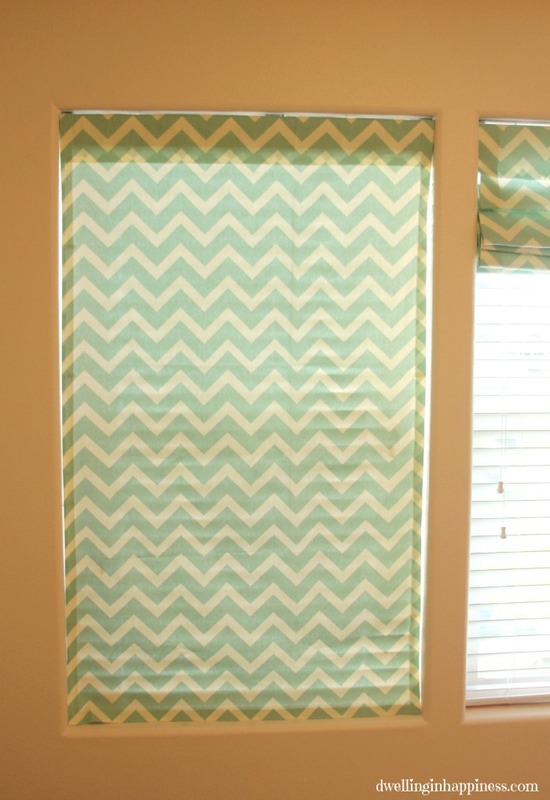 When my sister asked me to help make some roman-shade type curtains for her daughter’s new room, I jumped onto my computer and started perusing the one place known to man to have every crafty tutorial in existence; Pinterest. 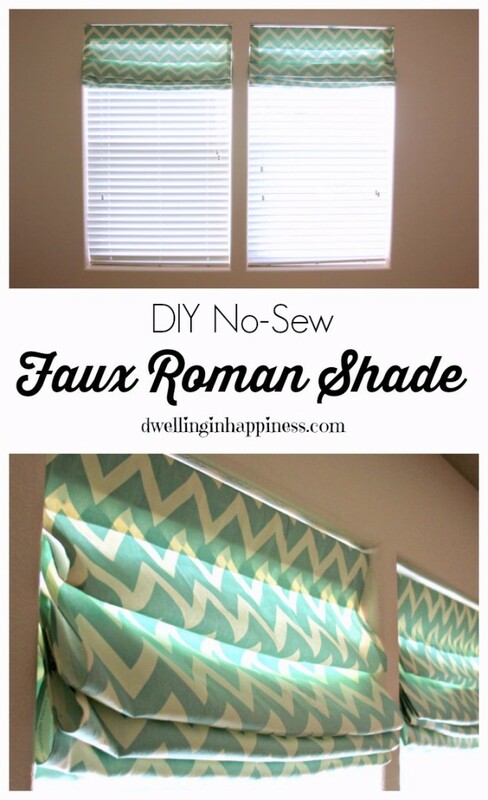 I found a fabulous tutorial from Thrifty & Chic on a no-sew faux roman shade, and it looked pretty easy. 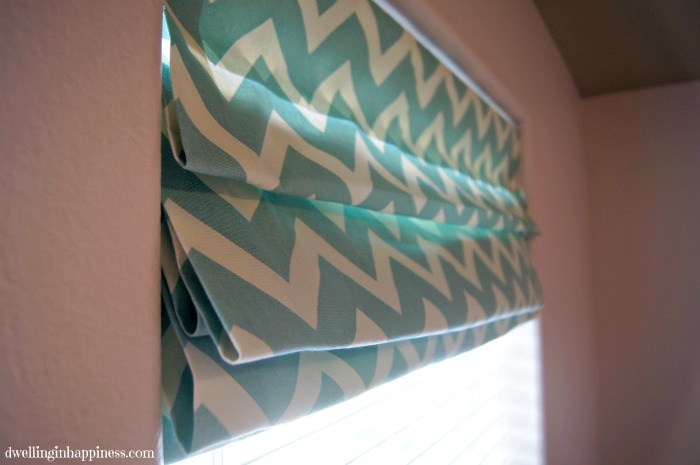 We also didn’t have to cut up any blinds like some of the other tutorials I saw, which made me even happier. My sister wanted to keep the blinds in tact and use the “roman shade” to help filter out the light for nap and bedtimes without having to use curtains. And, to look cute too, of course! 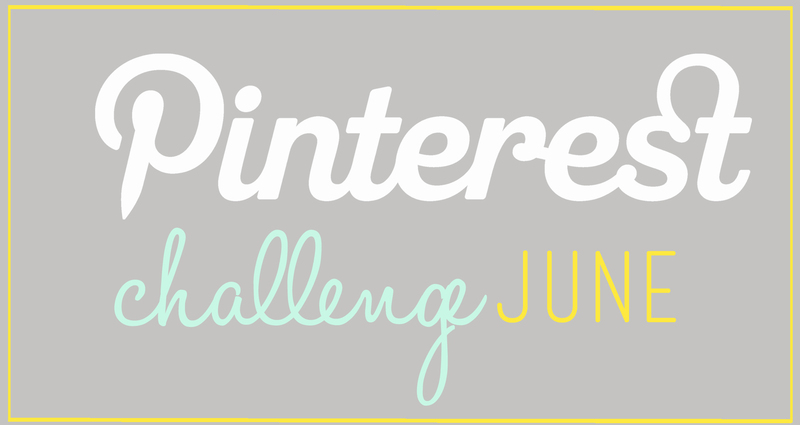 This project was the perfect thing to share for our June Pinterest Challenge! 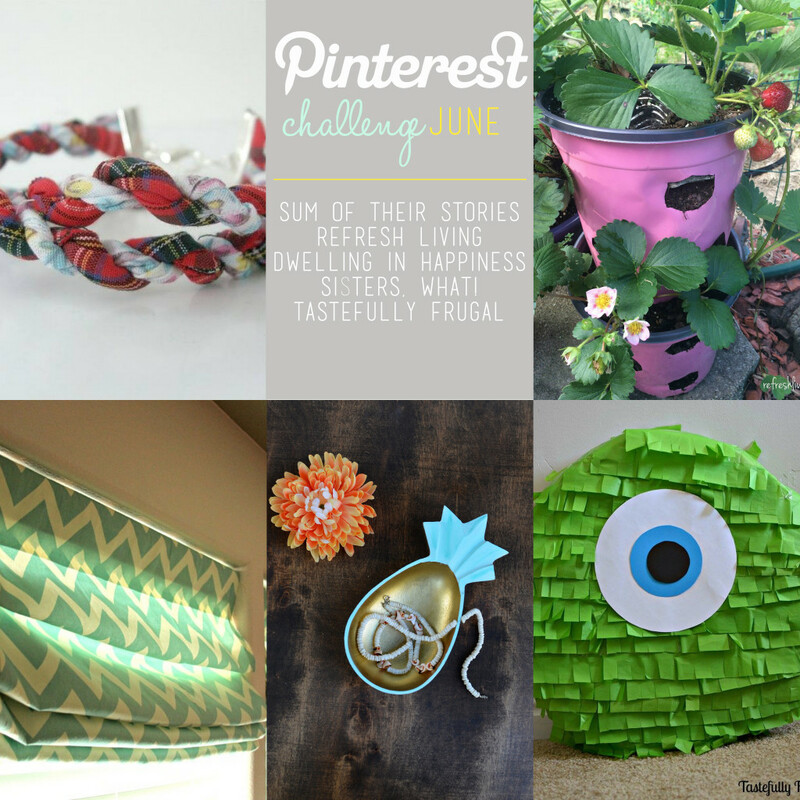 Be sure to stop at the bottom of this post and see the other fun Pinterest projects my crafty blogger friends have been working on! My little niece’s new room has 2 long skinny windows, so I made two shades to fit on each. You can see a fabulous and super detailed tutorial on how to make them at Thrifty & Chic! First, measure your window. 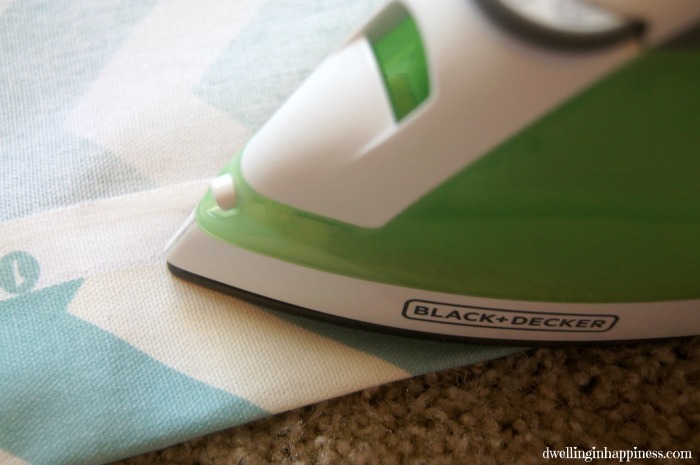 You’ll need fabric that is about 1 inch wider on the sides and bottom, but a few inches extra for the top (to have room for the valance for hanging!). 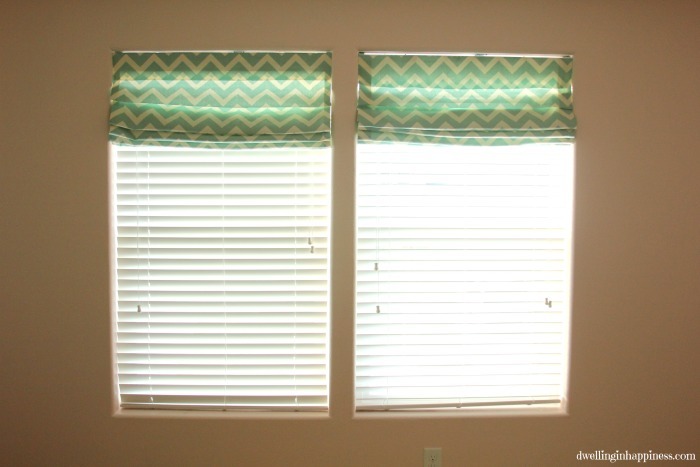 The windows I made these for were about 58″x35″, so my fabric was cut to about 70″x37″. 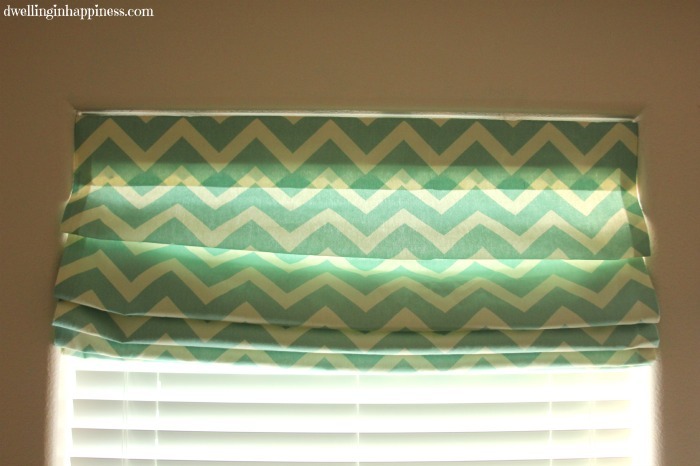 I ended up using more fabric vertically because the valance from the blinds was several inches thick, plus we wanted these to go all the way down to the window sill to block out light. It’s better to have too much fabric that you can cut off later than not enough! Once both sides were “stitched,” I did the same on the bottom of the shade, folding it in 1 inch and ironing in the stitch witchery. I did the corners like you’d wrap a present to make them more neat. I folded the corner in, then folded it up and added more stitch witchery. Our fabric was thick so I also added a little bit of hot glue to keep it in place, too. Now you have both sides and the bottoms hemmed up and ready to go. 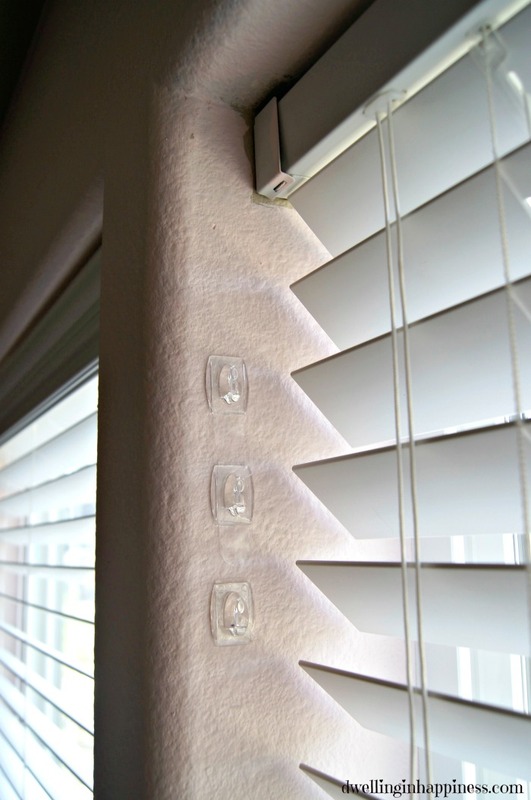 For the top, I used the valence from the blinds, being careful of the clips that attach it to the blinds. 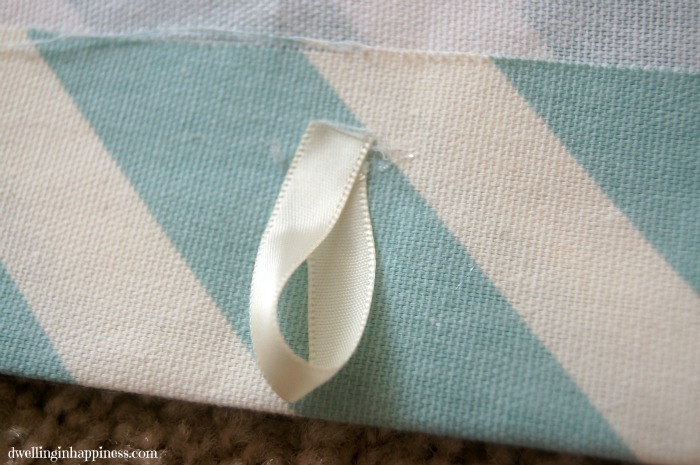 Make sure they stay on the valence, as the fabric will need to be cut around it for it to hang back up. 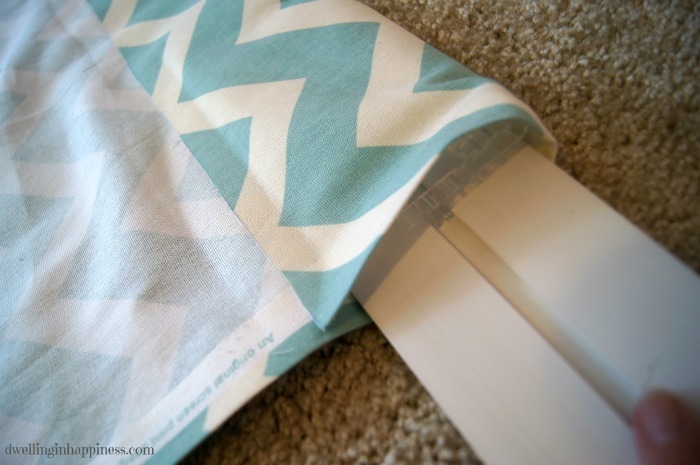 Lay the valance at the top part, and fold your fabric over to measure. Pull out your valence and add more stitch witchery and iron to keep it all in place. Being careful to not move the clips, slide the valance back in on top. 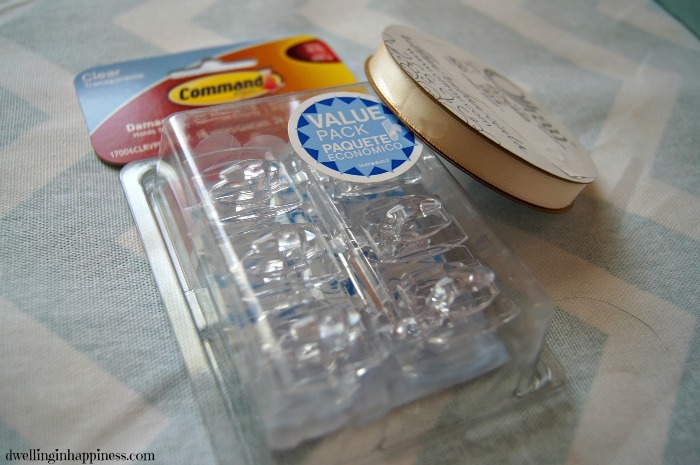 Find where the clips are and make a small cut with your scissors the length of the clip to push it through. 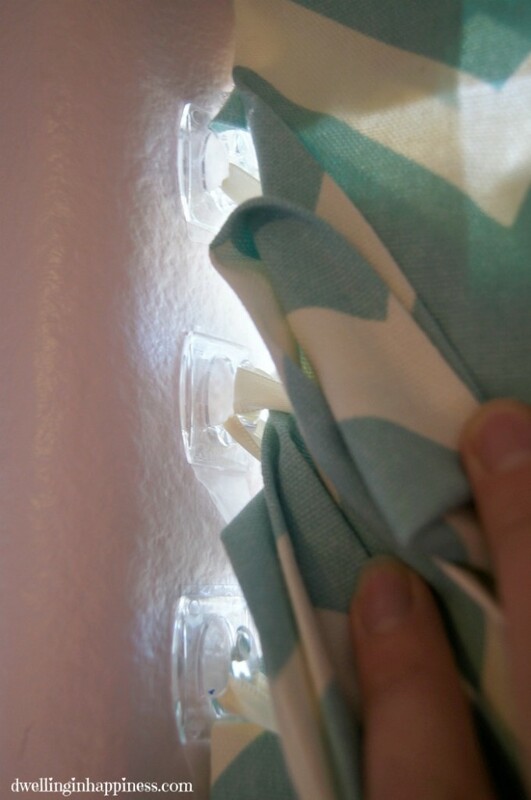 I originally marked the fabric where the clips would be to cut, but it was easier to cut after the valance was back in. Be careful to only cut the back of the shade where it will be hung, not the front! Now, it’s time to think about where you want your folds to be. 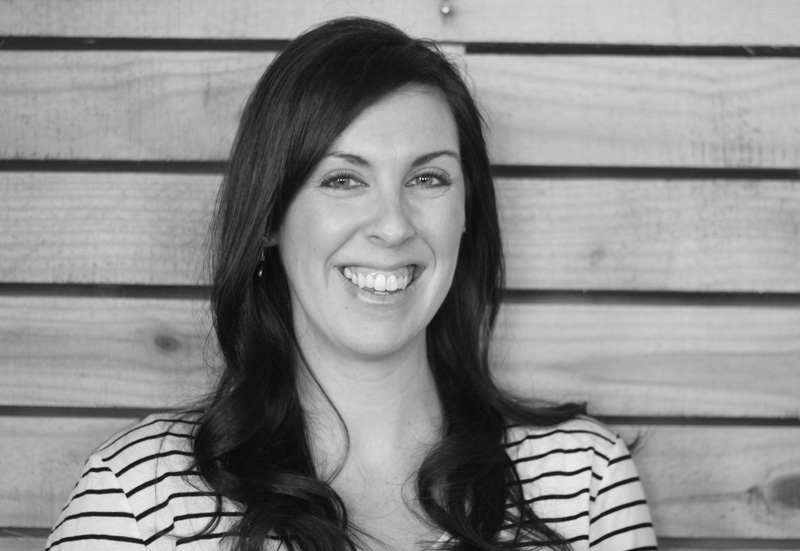 We followed along with Thrifty & Chic’s tutorial and went with every 12 inches. However, because our window was 58″ long, we did 12″ for 4 of the folds, and ended the last fold at 10 inches which was the very bottom. On each vertical side, I measured and marked every 12 inches, and then 10 for the bottom. Make sure your last “fold” will be as close to the bottom as possible to achieve the same look. 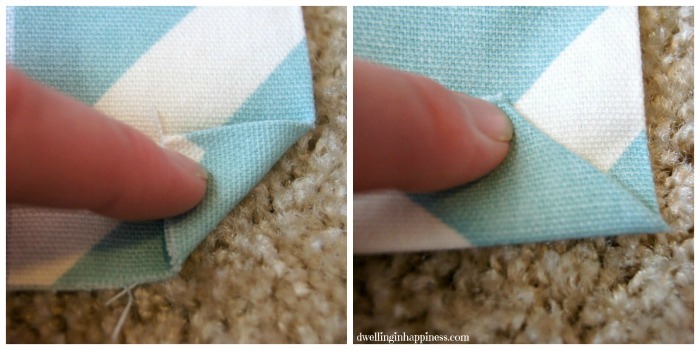 At every mark you just made, make a little loop from some ribbon and hot glue it on. Make sure the loop is back from the edge, so you won’t be able to see it when it’s all hung. 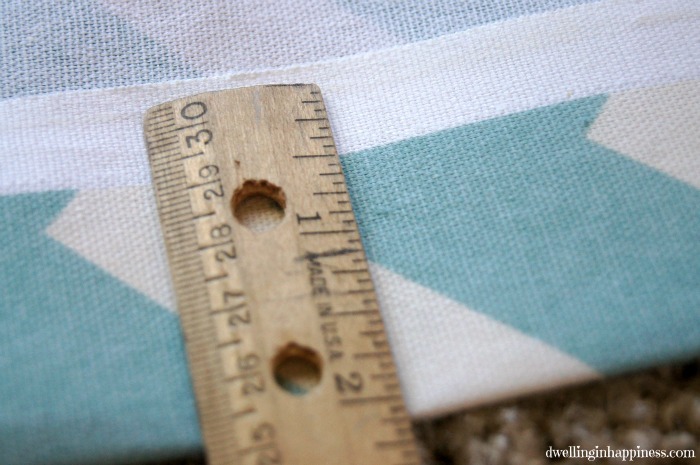 Continue with every 12″ mark, gluing the very last loop at the very bottom of your fabric. 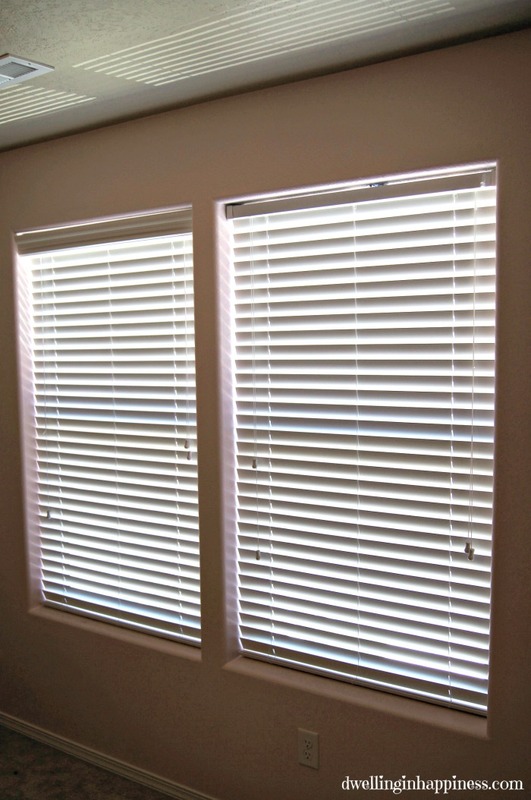 My sister didn’t want these shades covering too much of the window on top, so instead of doing 8 inches down from the top like Thrifty & Chic did, we only measured 6 inches down from the top of the blinds. I then measured 2 inches down for the next hook, and another 2 inches down for the 3rd. 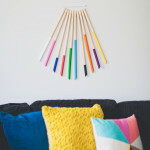 You can play around with how you want the shades to look when hung, and you can add more command strips, too! 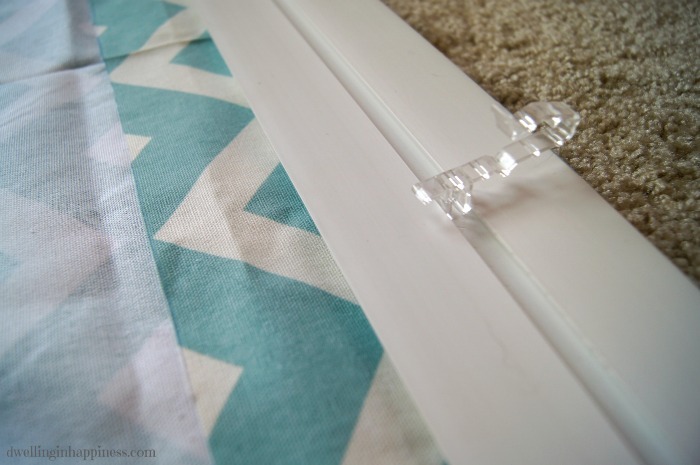 Hang your valance back on the blinds, and hook the ribbon loops around your command strips and fix the folds in the fabric. I looped the first ribbon around the top command strip, the second 2 ribbons on the second command strip, and last 2 ribbon loops on the 3rd command strip. Again, you can play around with placement to suit your taste. And that’s it! 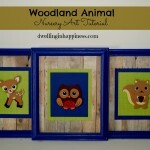 They work absolutely perfectly for my niece’s new room, and she was so excited to have them! My sister loves that she can easily pull off the loops and let the shades hang all the way down to cover the window. They’ll be perfect for summer to, helping to keep out the heat! I think they really help to finish off the window. Next is to get everything moved into the room and hang some cute stuff on the walls! The cute fabric makes them look great even when they are down. Contrary to what the above pictures make it look like, the walls are a pretty pale pink and the roman shades are an off-white and teal chevron fabric which we found at Joann’s. 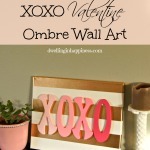 I can’t wait to make some more of these for some windows in my house, too! 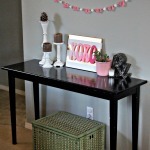 You’ve got to see these other fun crafts by these talented bloggers! Hope you all have a fabulous (and cool!) weekend! It’s supposed to be in the triple digits for us. Ahh! These add so much to those windows, Amanda! Perfect for a little girls room. It’s so interesting how they are made – I always wonder how people think of some of their ideas. I’m sure glad they do, so then I can try them!! What I love about this is the lack of a cord hanging down! 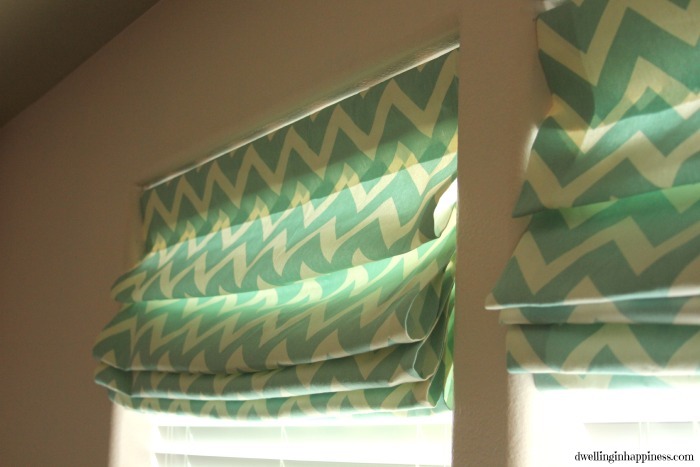 I make Roman shades the traditional way and I just despise the long cord hanging down when the shade is pulled up. Love it, Amanda! Thank you, Veronica! Not having a cord is sooo nice, and I’m sure Sarah will appreciate that, too! For someone who doesn’t sew, these were so easy to do. But, I’m sure they’d be even easier with a sewing machine! 😉 Thanks for stopping by! 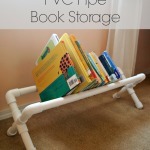 What a clever idea, so simple and quick. 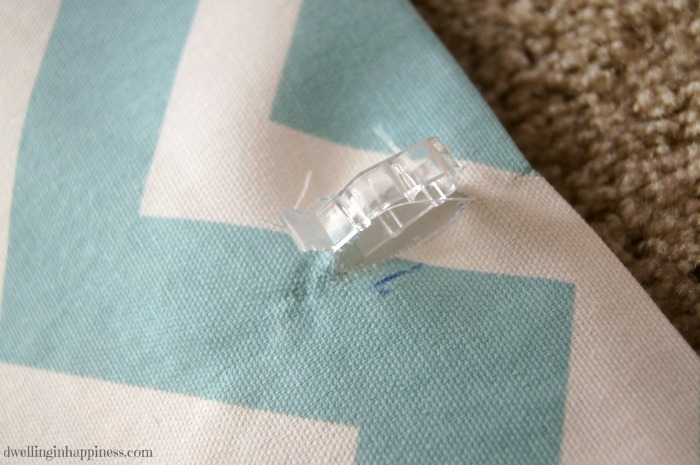 I would probably wizz the seams with my sewing machine but for those who don’t have a machine (or are sewing phobic) this seems like such a good alternative. so creative! I love the pop of color!! I bet your niece just thinks they are the best, what an awesome aunt you are to make them for her! Thank you, Shonee! My niece totally loves them which makes it even more fun for me! 🙂 Have a great weekend!! I love this! I especially love that it’s renter friendly 🙂 Great choice of fabric too!! Thanks, Sydney! I didn’t even think how these would be renter friendly, good point! Even better! 🙂 Hope you have a fabulous weekend! These are awesome, Amanda! And such a great tutorial too! 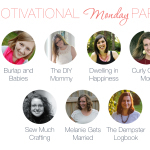 I’ve wanted to try that… so glad for people like you who do an awesome step by step!! Thank you, Kimmie! I’m so happy with how they turned out! Have a great weekend! These turned out beautiful, Amanda!! Great tutorial too. :) Perfect for those who don’t want to get the sewing machine out (like me, since it always puts me in my place:)). Hope you had a great birthday!! You had me at no sew. Awesome! Thanks Heather! Ha! I love no-sew. Sewing totally intimidates me, I’d much rather use my iron. 😉 Thanks for stopping by!